WTH? 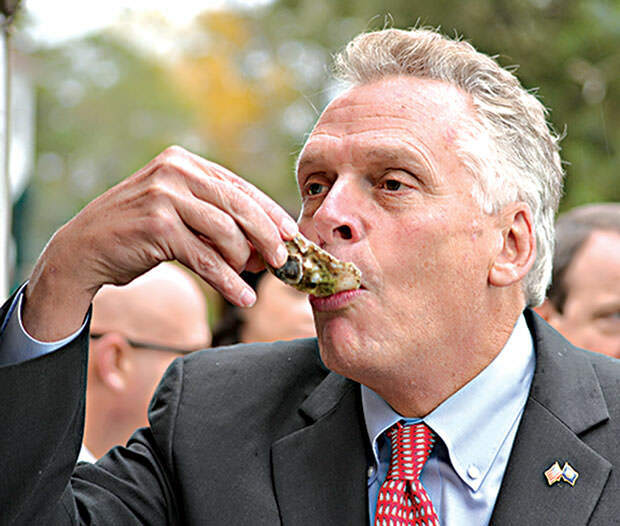 VA Gov. McAuliffe Claims 'Charlottesville Police Did A Magnificent Job’ -- Despite Order To Stand Down! WTH? VA Gov. McAuliffe Claims ‘Charlottesville Police Did A Magnificent Job’ — Despite Order To Stand Down! Despite reports Charlottesville police were ordered to stand down after Left-wing group Antifa crashed the ‘Unite the Right’ protest, Gov. McAuliffe praised local law enforcement’s efforts. ‘Our police did a magnificent job’ in Charlottesville, said Gov. McAuliffe. “Well let’s be very clear let’s think about where we are today. Not one ounce of property damage not one person went to the hospital outside of the car incident which David you can’t protect against that. I mean but not one person went to the hospital from the rally. Not one ounce of property damage an not one single gunshot was fired,” McAuliffe said. The governor then seized on the time to point the finger at the American Civil Liberties Union, who defeated the city of Charlottesville in court for white nationalists to be able to march in Emancipation Park, where a statue of Robert E. Lee was to be removed. “I will tell you this, though, David, we asked – the city of Charlottesville – asked for that to be moved out of downtown Charlottesville to a park about a mile and a half away, a lot of open fields, that was the place that it should have been. We were unfortunately sued by the ACLU and the judge ruled against us. That rally should not have been in the middle of downtown…It became a powder keg. And we’ve gotta look at these permits and we’ve gotta look at where we put these rallies and protesters. I’ve got to protect public safety and our police did a magnificent job,” said the Virginia governor. FOX News reporter Doug McKelway attended the violent protests Saturday in Charlottesville, Virginia. McKelway told FOX News viewers the police pulled out of Lee Park after the violence started. This was after violent Antifa terrorists launched an attack on the white supremacists. Doug McKelway: We are now beginning to hear criticism bubble up on all sides of this event about the initial slow response by the police. When I got out of my car yesterday in Charlottesville about 10:30 in the morning you knew this was a bad scene and bad things were going to be happening because people were congregating at Lee Park and Emancipation Park wearing helmets, body armor, carrying big heavy sticks. Nobody was intent on peace here from either side. People were intent on causing havoc and causing damage. And even as wounded were being brought out of the park police were sitting idly by. I was standing off a cordoned off area where the police had set up as a staging area, the state police, and they said you can come in here this is a safe area. But when the tear gas started to fly, thrown by protesters, the police themselves began to evacuate then. I asked the guy who was in charge, “Where you going?” He said, “We’re leaving. It’s too dangerous.” They had a chance to nip this thing in the bud and they chose not to. McKelway also interviewed a police spokeswoman who said “people” were hurling soda cans filled with cement. This is an Antifa tactic.